Provide abstract classes to abstract HP ProLiant servers. Provide abstract classes to abstract HP Insight Management Agents and HP Insight Management WBEM Providers. Organize classes into multiple management packs. The following figure shows HP Logical Hardware class inheritance hierarchy for HP Insight Management Agent based managements. The HP Servers Base implements the HP ProLiant Server Class with Model Membership Groups. The HP ProLiant Servers Base also defines the following Relationship classes. 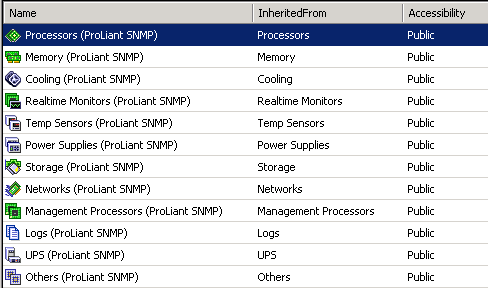 The HP ProLiant Servers SNMP Management Pack defines the following classes. 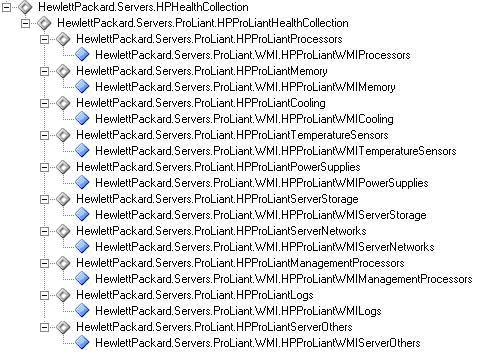 The HP ProLiant Servers WMI Management Pack defines the following classes. Ten new HP Health Collection Classes are included in the HP ProLiant Servers WMI Management Pack, and all these are present within the HP ProLiant Servers SNMP Management Pack. 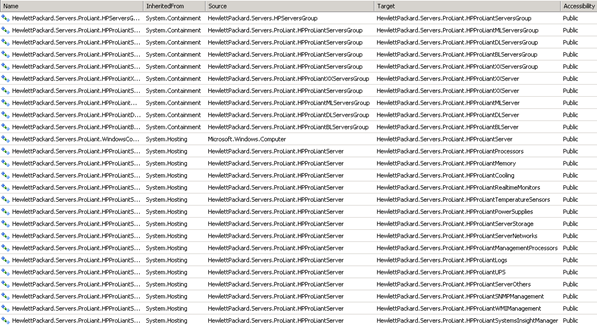 NOTE: The UPS and Realtime Monitors are not present in the HP ProLiant Servers WMI Management Pack.